I was introduced to the Sodom community of Madison County by Sheila Kay Adams. Sheila was a student at Mars Hill College back in 1975 and I had just begun working at the newly established photo archive at the college. 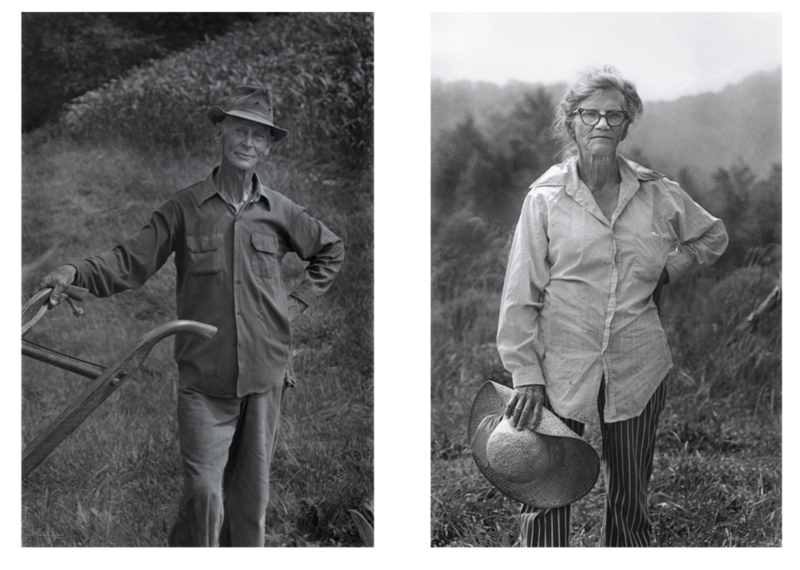 I remember speaking with Sheila about the difficulty gaining access to a small mountain community where I could hang out and make pictures. Sheila offered to take me to her home community of Sodom to meet her great aunt, Dellie Chandler Norton. It would prove to be an offer that would irrevocably change my life and influence everything I’ve done since. 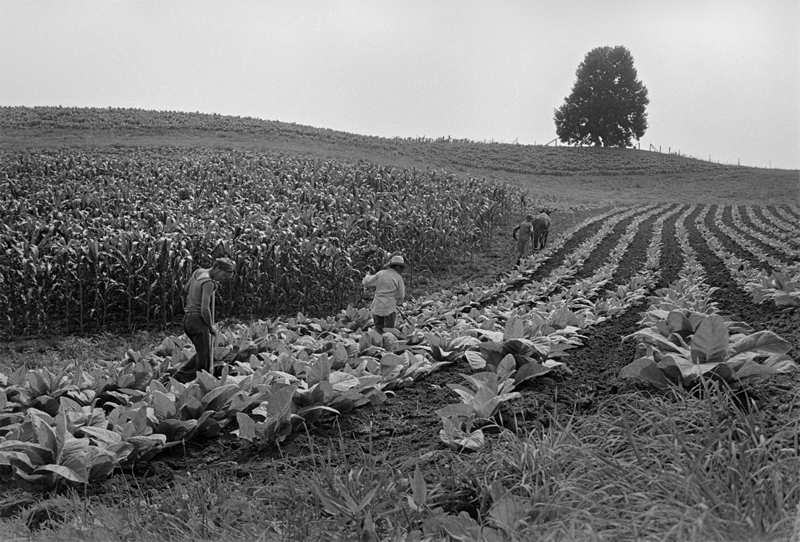 Isaac and Robbie Gunter and their son working tobacco, Sodom, Madison County, NC, 1975. On our first trip to Sodom together, we passed an older couple and a young man working in a tobacco patch. The older man was plowing the clean and elegant rows with a horse. The other two people were hoeing and pulling the loose, freshly plowed soil around each individual plant. There wasn’t a weed to be seen and the deep green plants were thriving from the personal attention. Lacking self-confidence and any understanding of local mores, I never would have stopped had I been on my own. But Sheila was the perfect bridge. She knew Isaac and Robbie Gunter and after introducing me and explaining who I was and what I was doing, they readily agreed to pose for photographs. Isaac and Robbie Gunter, Sodom, Madison County, NC, 1975. Seen from the eyes of a young documentarian thirty-eight years ago - someone new to the community, coming from a very different place, who didn’t yet know the importance of spending time with people - the photographs felt like wary introductions when I made them. I knew they were nice portraits, but formal and static. They lacked the energy and movement I wanted in my photographs back then and the images never made it beyond the contact sheets. But a photograph’s meaning can change for all of us over time. Looking at these photographs now with the eyes of someone much older – as old as the Gunters were when I made their pictures - I see something different. I see two people comfortably presenting themselves to the camera in a relaxed and open manner. I see people assured in their posture and confident in who they are. I see the strength and grace in their life-worn faces and hands. And what I once perceived as a formal introduction, I now recognize as a personal invitation into their world. Sodom, Madison County, NC, 2013.